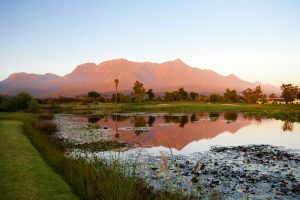 Nestled in the foothills of the magnificent Outeniqua Mountains, George Golf Club is among the oldest courses in the country and has for many years maintained a worthy rating amongst the top ten golf courses in South Africa. This course was designed by Dr Charles Molteno Murray and offers views of the exquisite Outeniqua Mountains from every hole. The greens have recently been upgraded and the course offers unparalleled natural beauty and is designed to challenge any golfer. A firm favourite is the well established trees and natural vegetation, including the large dam which provides a visual focus to the course. The main attraction of this course has always been its natural beauty, enhanced by lavish flora and the backdrop of the Outeniqua range. 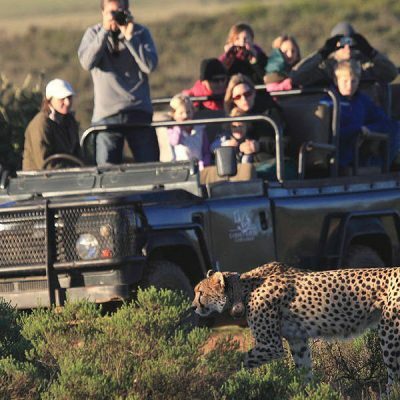 Enjoy playing a round at George Golf Course during your golf holiday in South Africa.